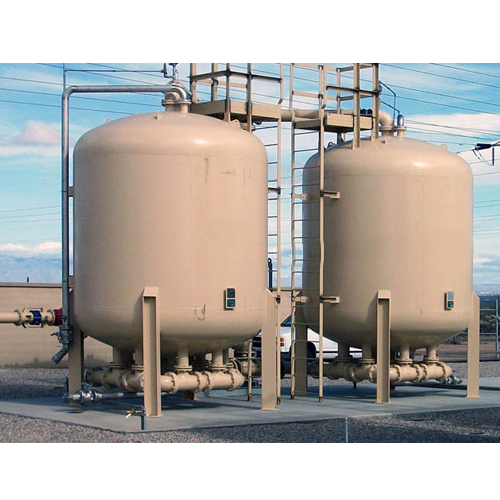 Our company has gained name and fame in presenting Arsenic Removal Plant. Use for packing water in a seal proof packaging, the offered packing plant is well tested on numerous quality parameters so as to deliver a defect free range. Our packing plant is designed with the finest quality component in line with the market standard under the direction of our skilled professionals. The offered packing plant is available at the most affordable rate. Water is essential for all dimensions of life. Polluted water is the basic reason behind countless diseases. In an endeavor to cater to the basic need of humanity, I.e. water, Aguapuro Equipments was incorporated in the year 1998, a progressive manufacturer offering solutions for both Commercial & Industrial segment. Aguapuro is a FIEO recognized company. Our Product line includes basic Water and Waste Treatment Plants, Water Softening Plants, & Water Handling and Distribution Systems that includes a complete range of Reverse Osmosis Water Purification Plants Nano and Ultra Filtration Systems, Demineralization Plants & Softening Plants Water Filtration Plants, Micron Filtration, Dosing equipment, UV Sterilizers, Ozonators, Swimming Pool Filtration System & Allied accessories, Hydro-pneumatic Booster Systems, Commercial Water Treatment Equipment, Purifiers All our products are known for their robust design and are capable of rendering years of efficient services to our prestigious clients. The company is professionally managed by a group of highly qualified technocrats having the in-depth expertise of the discipline. A perfect blend of innovative technologies and well-trained work force enables us to deliver the most advanced range of products to our esteemed clients. Our mineral water treatment systems, water softening plants, & water handling and distribution systems along with reverse osmosis water purification plants are being exported in many nations of Africa and even in other parts of the world. The quality of our products is immensely trusted by many reputed names in the business world like Pepsico, IRCTC, Parle, Bisleri, Fosters, Nourishco, Godrej, Godfrey Philips, Mahindra & Mahindra, etc. We are also a regular member of Engineering Export Promotion Council (EEPC), Menon Chamber of Commerce etc.